With over a decade of experience working in the video game industry, James Kay’s latest books is a must read for anyone who wants to work in video game development in Japan. Japanmanship: the ultimate guide to working in videogame development in Japan covers all the in-depth information you need to start working in Japan. From setting out your goals, contacting companies, writing a Japanese resume, handling the job interview and even how much you can expect to get paid, this book opens the doors on getting into the video game industry. 1. Can you tell me about your background in Japan and how you came to start Score Studios? JK: I moved to Japan in 2001 to work in video game development, something I had been doing in the UK for a few years as an artist (CG designer as they call it in Japan). It was one of those dreams of working in the perceived gaming Mecca of the world. I worked at several Japanese development companies and learned a lot in my time here, but I always felt Japan was falling behind the West, especially in technology and work processes. I tried to influence the teams I worked in but to really make a difference I felt I’d have to put my money where my mouth is/was and so started Score Studios, alongside Paul Caristino, co-founder and fellow veteran developer. These days a lot of companies realise they could use Western know-how and are willing to hire people from abroad. 2. What made you decide to write the book? JK: I started blogging about Japanese game development a few years ago simply because I wanted to write. It’s something I always enjoyed but never pursued, and this seemed like an easy way to satisfy that Muse. At the time there weren’t many people writing about what it was like working in game development in Japan and that, probably more than anything, gave me a modicum of notoriety and a steady readership. Since starting Score the blog has all but died but I felt it was a shame to let the useful information from it completely go to waste, as I know and have met several people who have used it as inspiration to also move to Japan to work in games. So the book, named after the old blog, “Japanmanship” was created mostly out of newly written articles based on my experiences hopefully to help people who want to work in games in Japan with realistic, sober and useful information. 3. What level of Japanese does someone need to work in the video game industry in Japan? Do they need to be fluent? JK: Need? No, probably not, but as always you should really make an effort to learn the language. The better you are at it the better your chances and opportunities. These days a lot of companies realise they could use Western know-how and are willing to hire people from abroad (or locally) regardless of their Japanese skill, but you’ll have a difficult time without it. Programmers and artists can get away with not being native-level, but game designers (planners) and translators are usually required to be a bit better. 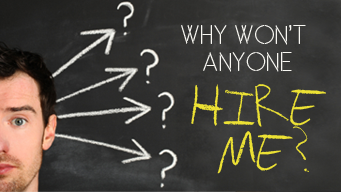 Above all, though, especially these days, previous experience will weigh heavily in a company’s decision to hire you. 4. How do you think the growth of iOS/Andoid games will affect console makers like Nintendo and Playstation? JK: It certainly changes the expectations of the consumer, and companies like Nintendo, Sony and Microsoft need to adjust somewhat and some of them already are. Digital delivery of content, pricing and allowing independent developers access to your platform are going to be more important in this current generational shift, but I don’t think it will ever be as black and white as some people will have you believe. The success of smartphone games doesn’t mean the console business is doomed. With the race to the bottom and the current surge of F2P games eventually the smartphone landscape too will change. Console companies will probably be more concerned about other home devices, like the Ouya and Steambox. It will be an interesting few years, that’s for sure! 5. Is Score Studios hiring? JK: Even though we don’t really have a set timeline right now we do at some point need some all-round, experienced game artists, preferably local, but more in a networking for potential future hires sense as opposed to actively hiring right at this time. Why won’t anyone hire me? 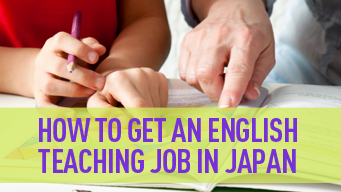 Finding a job in Japan is not hard if you have a high quality resume. We talk to Interac to find out what makes a good resume.